The Indian residential schools of Canada were a network of boarding schools for First Nation peoples of Canada by the Canadian government's Department of Indian Affairs, and administered by Christian churches, most notably the Catholic Church in Canada and the Anglican Church of Canada. The was primarily active following the passage of the Indian Act in 1876, until the mid-twentieth century. An amendment to the Indian Act in 1920 made attendance at a day, industrial or residential school compulsory for First Nations children and, in some parts of the country, residential schools were the only option. 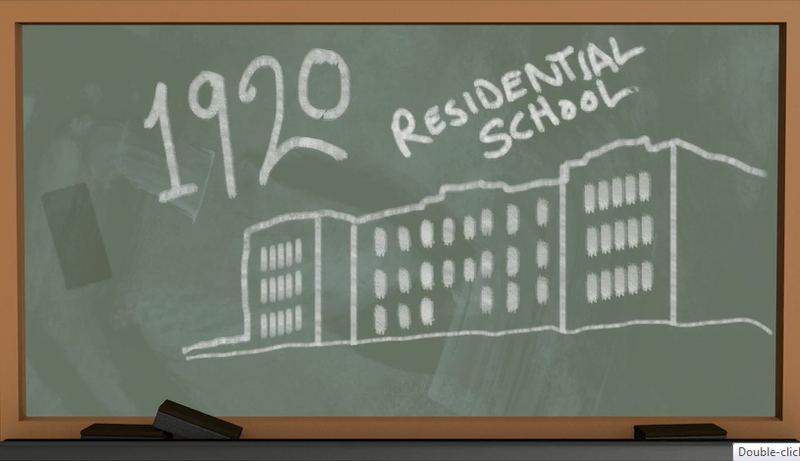 The number of residential schools reached 80 in 1931 but decreased in the years that followed. The last federally-operated residential school was closed in 1996. In total, about 150,000 First Nations children passed through the residential school system. The system was designed as an immersion program: in many schools, children were prohibited from and often punished for speaking their own languages or practicing their own faiths. In the 20th century, former students of the schools have claimed that officials and teachers had practiced cultural genocide and ethnocide. Because of the relatively isolated nature of the schools, there was an elevated rate of physical and sexual abuse. Corporal punishment was often justified by a belief that it was the only way to "save souls", "civilize" the savage, or punish runaways who, if they became injured or died in their efforts to return home, would leave the school legally responsible for whatever befell them. Overcrowding, poor sanitation, inadequate heating, and a lack of medical care led to high rates of influenza and tuberculosis; in one school, death rates reached 69%. Federal policy tying funding to enrollment numbers may have made things worse, as it led to sick children being enrolled in order to boost numbers, thus introducing and spreading disease. Details of the mistreatment of students had been published numerous times throughout the 20th century. Following the government's closure of most of the schools in the 1960s, the work of indigenous activists and historians led to greater awareness by the public of the damage which the schools had caused, as well as to official government and church apologies, and a legal settlement. This has been controversial both within indigenous and non-indigenous communities. "At least 3,000 died in residential schools, research shows". CBC News. 18 February 2013. Retrieved 13 May 2013. Globe and Mail, April 24, 2007. Retrieved 2009-12-02.